‘ANTS Presents The Mix 2014’ is the new mix album from possibly one of the most successful new parties on Ibiza. With a CD each given to ANTs’ resident Andrea Oliva, UNER and Los Suruba respectively, the music is a true reflection of the weekly parties that take place at Ushuaia Ibiza and boasts tracks and remixes from Junior Boys, Carl Craig, Deetron, Agoria, Dennis Ferrer, Guy Gerber & Dixon, Nick Curly and many more. ANTS was arguably the standout debut Ibiza residency of 2013, culminating with Ushuaia Ibiza hitting record capacity at their closing party. Gaining popularity by showing respect to the underground whilst fitting perfectly in amongst the island’s veterans, ANTS aims to once again be a force to be reckoned on the island again in this year. 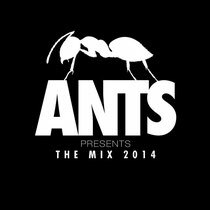 ‘ANTS Presents The Mix 2014’, compiled by the residents Andrea Olivia, UNER and Los Suruba themselves, reflects the sound of their parties and will please their ever growing fan base. Featuring tracks from the likes of Deetron, Mr. G, Subb-An, Sid Le Rock as a slew of original productions from the residents themselves, this mix album should soundtrack your summer, on or off the island.